Learn how and why we should look after our teeth. Find out what plaque is, and how acid damages our teeth. Simple instructions help you take care of your teeth. 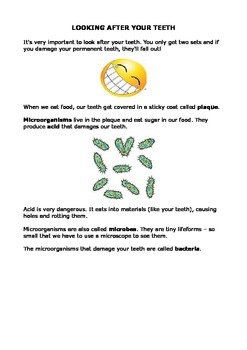 Includes a worksheet and a craft activity to make edible teeth.